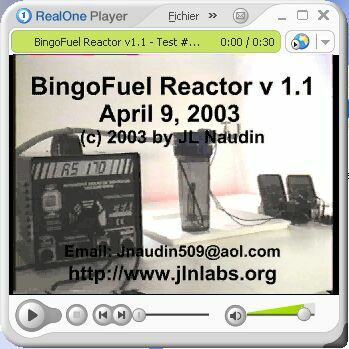 You will find below some tests of the BingoFuel Reactor v1.1, this is an improved design of the v1.0. 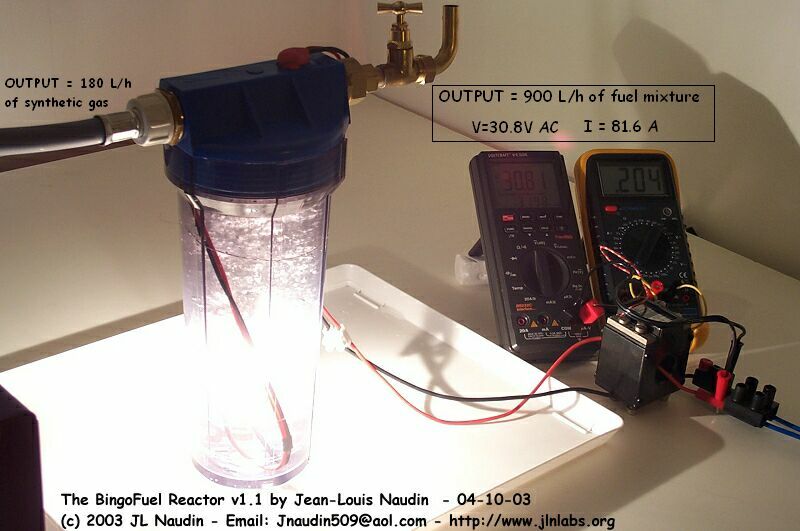 The purpose of these tests is to use a portable power supply ( a portable welding unit ) and to measure the power input required for getting the 180 liters/hour of synthetic gas ( or 1080 liters/hour of fuel mixture ) at the output of the reactor. The voltage is 30.8 Volts AC 50 Hz and the current 81.6 Amperes. The current is measured with a current transformer ( 400:1 ). 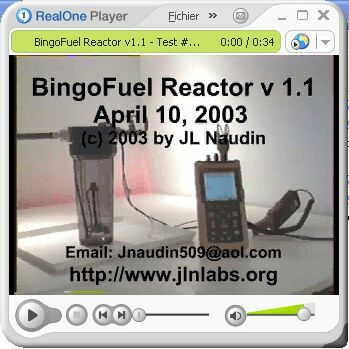 Comments from JL Naudin : The Synthetic gas produced at the output by the BingoFuel Reactor is not able to burn itself, it must be mixed with air in proportion of 1/5 ( one volume of synthetic gas with five volumes of air ). 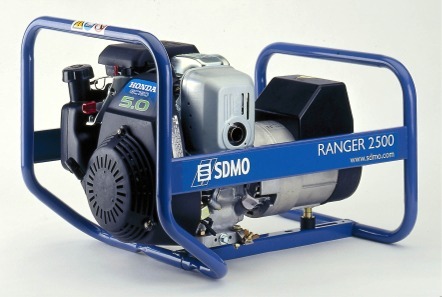 So, the fuel mixture useable for an internal combustion engine is 6 times more than the gas produced. 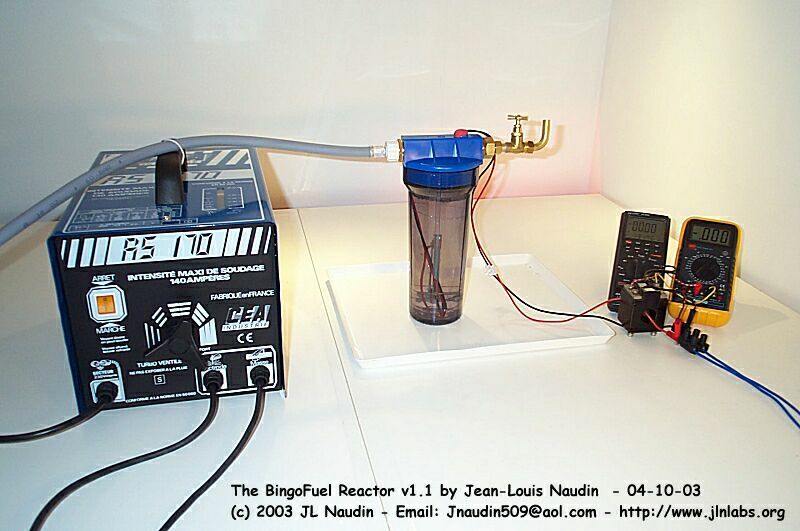 The BingoFuel Reactor is able to produce about 1080 liters per hour of Fuel mixture. 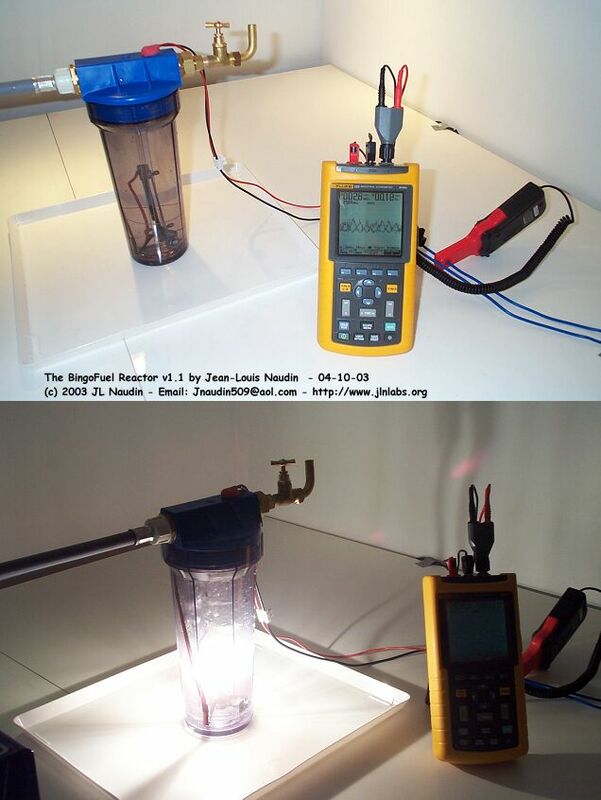 It is interesting to notice that in this test of a 1 cell BingoFuel Reactor, the current used is 81.6 Amperes (see Test#1 ). With a same value of current used in a 1 cell electrolyser the volume of the of H2 is 36 liters per hour ( at 20°C ). There is 46% of H2 in the synthetic gas generated by the BingoFuel Reactor, so it produces about 83 liters per hour of H2. 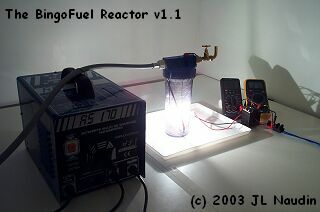 The BingoFuel Reactor produces 2.3 times more H2 gas than a common electrolyser. 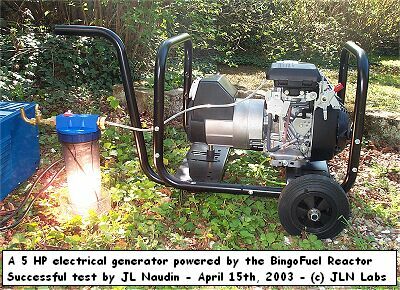 The fuel mixture produced by the BingoFuel Reactor is about 1080 liters per hour, a common 1 cell electrolyser produces about 54 liters per hour ( at 20°C ) of mixture of H2 and O2, so the BingoFuel Reactor produces 20 times more of fuel mixture than a common electrolyser.